So you’re thinking of Lean Six Sigma training? 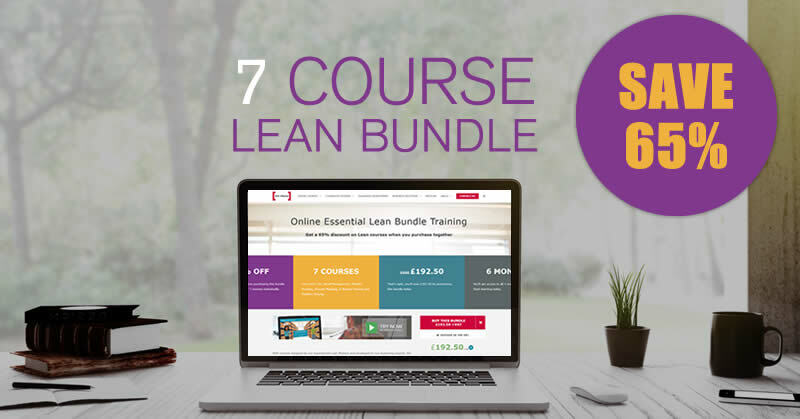 Home/So you’re thinking of Lean Six Sigma training? There’s a huge amount of information around to explain why businesses should look to implement Lean Six Sigma as part of their improvement efforts. From the founding of the original methodologies at Toyota and Motorola to present day, the principles of Lean Six Sigma have worked to cut waste and increase efficiency for decades; saving businesses untold amounts of money in the process. In 2008, Motorola claimed that an ingrained culture of Six Sigma had saved the company $20 billion. Although it has its detractors, the potential benefits of a well implemented top-down approach are well documented. Indeed, Mike Titchen, Head of Training Development, says that a skilled Black Belt can do up to four projects a year, each saving upwards of a hundred thousand pounds. “So a good Black Belt can save a large company a million pounds over a two or three year period,” he said. But, what’s in it for the individuals undertaking the training? What impact can Lean Six Sigma training have on your career? Well, in the current competitive jobs market, quite a lot. “We’ll give you the toolkit to enable you to go into a business and make real, significant and lasting changes,” Mike explains. Green and Black Belt training provides some of the most sophisticated business tools that exist in the world. Holding the tools to save a company hundreds of thousands, or even millions, makes you an attractive proposition. Lean Six Sigma training will make delegates a lot more saleable in a competitive jobs market, giving you the edge over other applicants. The recent Hays Global Skills Index 2013 suggests that the UK is in the grip of a major skills shortage. Although it is particularly noticeable in oil and gas, IT and construction where niche skills are in high demand, a “talent mismatch” is evident across the UK jobs market. “The supply of people with the right skills is the foundation for every successful organisation and finding the right person for a job can transform businesses, people’s lives and make societies stronger,” Hays’ chief executive, Alistair Cox said in the report. Depending on what level of Lean Six Sigma training you take, you can be working full time on projects, or spending a portion of your working week on them. It adds an exciting new element to your work, helping you become re-engaged and passionate about business improvement. Some black belts enjoy their new calling so much they turn it into their career and become Master Black Belts. “Typically for a Black Belt or Green Belt it also gives you exposure to senior people within a business who you might never have rubbed shoulders with before,” he says, including project Champions who are often Directors or Vice Presidents. So, with the right outlook, undertaking training in Lean Six Sigma can be a win-win for you and your company.